TiVo and Sky, Europe’s leading entertainment company, have joined forces to deliver voice search for Sky’s next-generation box, Sky Q. TiVo’s technology offers voice-based search through language recognition and naturally spoken responses to connect Sky Q customers to movies, shows and sporting events. With voice search, viewers can find their desired program by pressing and holding the voice button on the side of the Sky Q touch remote and simply saying what they’re looking for. Movie buffs and TV fans can take things one step farther and use their voices to search by genre (e.g., “comedy movies”), a specific actor, director and/or rating (e.g., “Tom Hanks movies rated five stars”), and even a selection of well-known movie quotes or catchphrases (e.g., “Show me the money!”). TiVo’s solution enables natural-language voice searches for finding digital entertainment across linear TV and video on demand (VOD). It is powered by TiVo’s industry-leading knowledge graph engine, a dynamic base of entertainment metadata informed by trends, conversations, predictive search results, news crawlers, behavioral indicators from social networks and information produced and curated by hundreds of content editors. 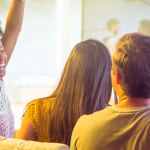 This initiative reaffirms TiVo’s long-standing relationship with Sky, a trusted provider enabling state-of-the-art capabilities to pay-TV homes across Europe. © 2017 TiVo Corporation. All Rights Reserved. 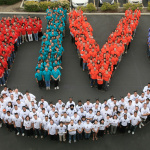 TiVo and the TiVo logo are registered trademarks of TiVo Corporation and its subsidiaries worldwide.